Bureau of Indian Standards (BIS) has been operating a Foreign Manufacturers Certification Scheme (FMCS) since the year 2000. The Bureau of Indian Standards (BIS), the National Standards Body of India responsible for formulating Indian Standards..
Products with radio and/or wireless functionalities which are imported or manufactured and marketed .. The Make in India initiative was launched in September 2014 as part of a wider set of nation-building initiatives. India’s import and export system is governed by the Foreign Trade (Development & Regulation) Act of 1992.. Type Approval or Certificate of Conformity is granted to a product that meets a minimum set of regulatory, technical and safety requirements. 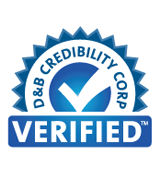 A BEE-rating certificate is a document that indicates a company’s level of BEE compliance…. Our training solutions are developed by subject matter experts to help organizations.. Many products require CE marking before they can be sold in the EEA ( EU + Iceland, Lichtenstein and Norway)..
UL stands for Underwriters Laboratories, an organization that has been around for more than 100 years.. The Food Safety & Standards Act, 2006 introduced to improve the hygiene and quality of food has brought..
Aleph Accreditation & Testing Centre (P) Ltd.